Purchase online TM1638 Chip Key Display Module 8 Bits Digital LED Module in India at low cost from DNA Technology,Nashik. 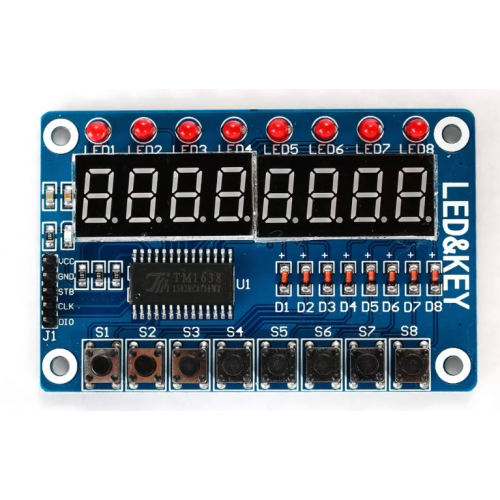 TM1638 key display module has 8 digit seven segment display, 8 keys & 8 LEDs. Using TM1638 Chip control everything using just 3 microcontroller pins. The advantage is only three IO ports will be occupied when it drives. 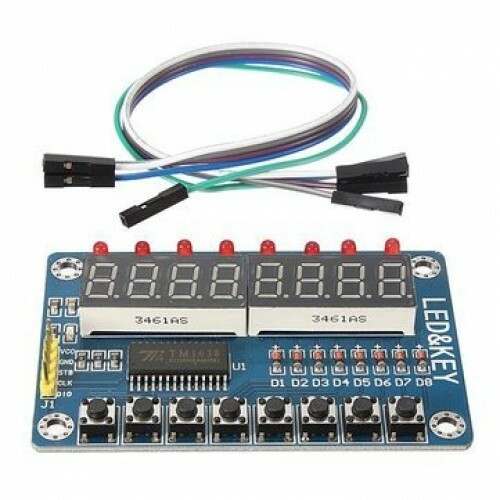 Moreover the controller is not busy all the time as no scanning for seven segment display or even key scanning is not involved. 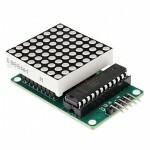 It only need to read the relevant register to send display data or test button so it save MCU resources effectively. How to connect: VCC GND 5V power supply STB CLK DIO SCM IO port. 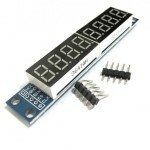 MAX7219 8x8 DOT Matrix Display ModuleMAX7219 is a kind of integrated serial input/ output common cat..
8-Digit MAX7219 Digital Display ModuleThis 8 digit seven segment display module is based upon the Ma..
DSN-VC288 Voltmeter AmmeterWant a Low cost Digital Voltmeter & Ammeter then this is a perfect Mo..